On the day of the May Community Day event in Pokémon GO, the Johto Legendary bird Ho-Oh has made an unexpected return to Raid Battles. Announced without warning in the in-game news and the official website, Ho-Oh will stick around until June the 7th. Like Lugia’s second coming, Ho-Oh has a chance to be Shiny after being defeated. This was mentioned outright in the Niantic announcement, the second time they’ve acknowledged this in an announcement. If you’re lucky enough to encounter a Shiny, use a Pinap berry to double the Candy you get. Provided you hit the Ho-Oh with a Premier Ball, you have a 100% catch rate if it is Shiny! Otherwise you’ll have to do it the hard way. The only downside however is that Ho-Oh will share Raid battles with Latios and Latias, depending on your region. This means that if you haven’t caught one of the Latis you have less chance to encounter one, and also less chance to encounter a Shiny Ho-Oh. Lugia had its own time in the sun with Raid battles, so this doesn’t quite match up. 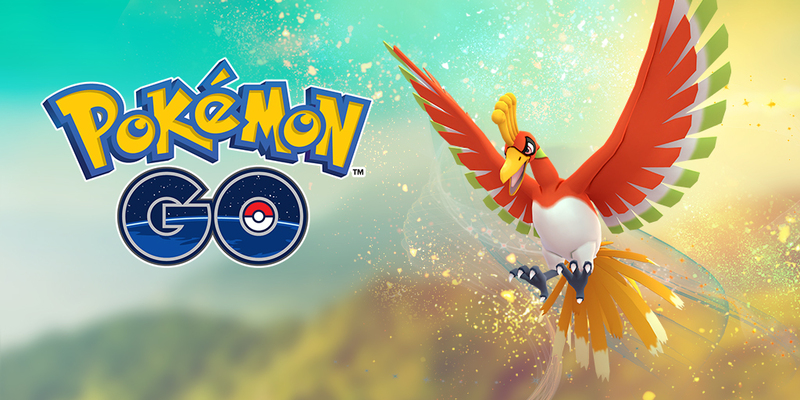 What are your thoughts on Ho-Oh’s return – a welcome chance at a rare Shiny, or an annoyance to your usual Raids? Thanks to Bay Alexison for the tip.